While the cost of most printable media seems to be on the rise, LexJet is happy to announce a price reduction on KODAK PROFESSIONAL Inkjet Photo Paper, Lustre DL, PROFESSIONAL Inkjet Photo Paper, Glossy DL and PROFESSIONAL Inkjet Photo Paper, Metallic DL. Kodak has long been associated with professional photos, and Print Service Providers and consumers, alike, understand the quality the Kodak name carries. All KODAK PROFESSIONAL Dry Lab photo papers have the trade-mark back-print seal for assurance. These true photographic resin-coated papers are heavy duty (255g) and offer a bright white point for clean, details producing high-end photographs, fine art reproductions, photo albums, greeting cards, photo books and more. 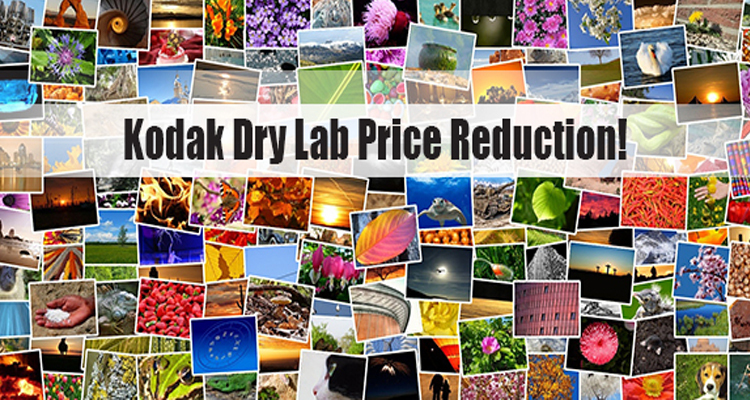 To get updated pricing or to find out more about these dry lab photo papers, contact your LexJet sales representative at 800-453-9538 or visit us at www.lexjet.com.